I've been a freelancer for nearly 3 years now. (Regardless of the fact that I often hide behind the persona of my company Developer City, I am a freelancer none the less.) Freelancing gives you an awful lot of flexibility and has a lot of upsides but it also means that you are responsible for the less desirable day-to-day tasks such as finance. Luckily there are a number of web applications that can be really useful in helping to make these tasks a breeze. In this post I just wanted to share with you, some of the web applications that have become indispensable to me over the past 3 years. This awesome web app can help you handle all of your business finances including invoicing and expenses. FreeAgent also has killer tax tools. You can literally file your income tax or VAT returns within about 30 seconds as FreeAgent have integrated directly with HMRC. There are a lot of project management tools out there but Sprint.ly is by far my favourite. 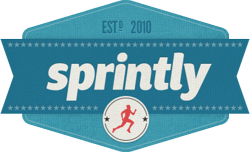 Sprint.ly is great for those with an agile approach to project management, the whole system is based around Kanban style task management and user stories. Sprint.ly also supports post-receive GitHub hooks so you can assign code commits to tasks and even close tags directly from your commit messages. I love this feature. Regardless of how big or small a project may be you should always be using a Version Control System for tracking changes to your code. Personally I like to use Git and that's where GitHub comes in. GitHub allows you to host your code in the cloud and if you buy a premium membership you can also create private code repositories (pretty much essential for client work). Having my code hosted on GitHub comes in really handy if I'm working on a project with another designer/developer but it is also a really great backup service. Sprint.ly is great for managing all the development tasks for your project but it is not designed for holding the general day-to-day tasks that I also need to keep track of. For those tasks I use Trello. Trello also has a kanban way of doing things. You can create boards with a number of lists. Your tasks start in the list on the left and slowly make there way to the right as you work on them. I've found Trello's visual interface really useful and eventually switched over from using Asana (which is also great) because of the more kanban-like style of task management. A lot of freelancers don't believe that they need to use a CRM and to be honest, they're right. You don't have to use a CRM, a simple contact manager will do the job. Having said that, I prefer to use a CRM called Nimble for managing my contacts and interactions with clients. Nimble is a 'Social CRM'. You can add your customers' social media accounts to their profiles and see a summary of everything that they are talking about across the board. Nimble also integrates with Google Apps and can bring in your email so all of your communications history can be accessed through the app too, pretty damn useful. This is a no brainer for anyone in business. If you're not using Google Apps you should be. Google Apps basically consists of Gmail, Google Calendar, Google Docs (now Drive) and a lot of other Google services. If you are a freelancer or a small business you can get an account for free. So why is this better than a regular GMail account? Well for starters you can have your own domain name for your email addresses and run all your email services on Google's infrastructure. It also becomes a lot easier to share files within your organisation if there is more than one of you in your company. Switching over to Google Apps can be a bit of a pain if you have a lot of emails to migrate but once you're done you will not regret the move. That covers most of the services that I use to help keep my business going. I'd be interested to hear about any tools that you might be using. Leave your suggestions in the comments.